Learn how to paint your vector drawings by following these instructions. In the Tools toolbar, select the Paint tool, press [Alt] +[I] or select Tools > Paint. 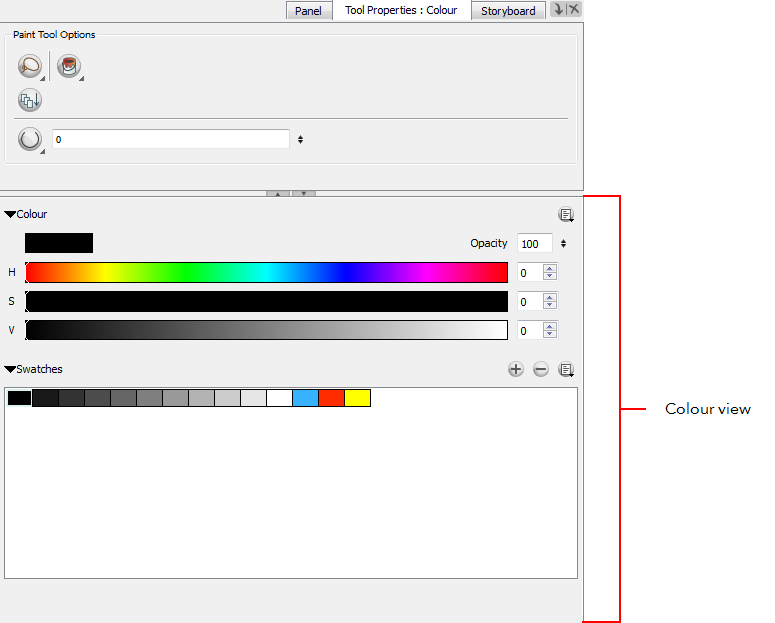 In the Panel view, select the Tool Properties: Colour tab. If you have separated the Tool Properties and Colour view, select the Colour tab—see Managing the Views. In the Colour view, select a colour from the palette. In the Stage view, start painting on your drawing by clicking the area to be painted. Note that the area to be painted must be closed.